Milo Manheim gave it his all during the Dancing With The Stars finale! The 17-year-old actor and his pro partner Witney Carson took to the dance floor to reprise their favorite dance from the season on Monday night (November 19) in Los Angeles. The duo performed the Charleston set to “Living in New York City” by Robin Thicke. After hearing the judge’s feedback, they picked up a perfect 30 out of 30 points. Later in the show, the couple will take to the floor again to perform a freestyle dance. Disney Channel just premiered ZOMBIES and it’s a movie you’re not going to want to miss! The new DCOM takes place in the cookie cutter community of Seabrook, 50 years after a zombie apocalypse. In present day, zombies pose no threat but are still forced to live in isolation in Zombietown. When zombies are finally allowed to enroll in Seabrook High School, their lives are turned upside-down. 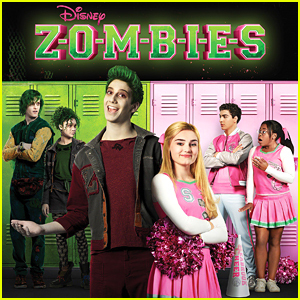 ZOMBIES stars Milo Manheim and American Housewife‘s Meg Donnelly. The movie premiered on February 16th on Disney Channel.